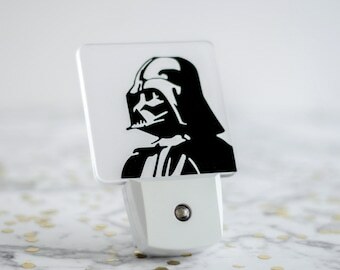 Light up your little ones room and life , and banish evil nightmares with this LED night light. It is light activated (comes on when its dark) and casts a great spread of light. 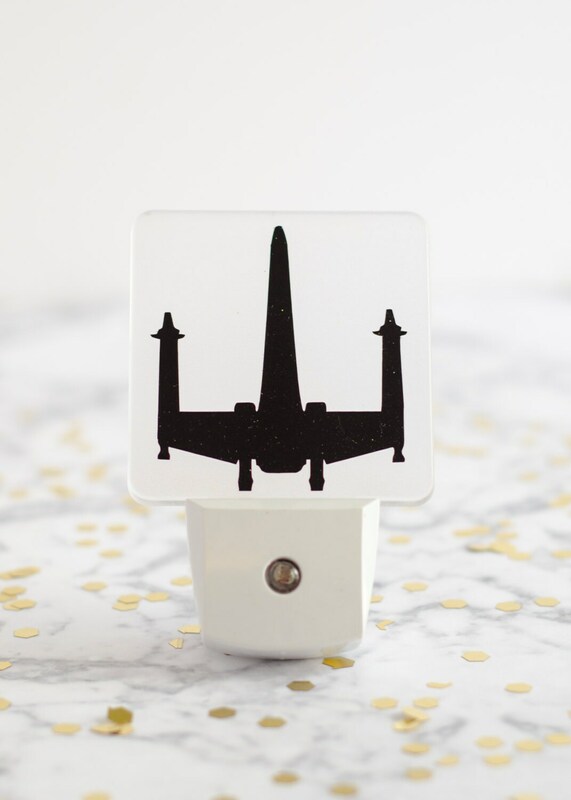 Has a Star Wars X Wing image in black on it which is made with high quality vinyl. Perfect for Hallways, Bathrooms or Children's Bedrooms. 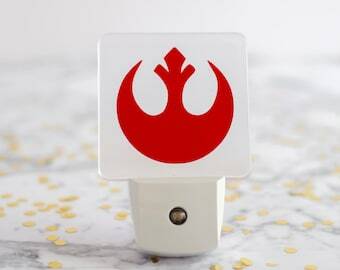 Perfect for the Star Wars fan in your life, young or old.